Every time I make granola I wonder why I don’t make it more often. And then after one bite I’m reminded that I have next to zero control when it comes to breakfast cereal type foods. It’s just too good! When I was younger and much less controlled with my eating I’d have no problem polishing off a bowl (or three) of cereal. And I’d still want more. At least I don’t need to worry about over eating too much when it comes to homemade goods. While I still very much need to be careful that I don’t overeat on a daily basis, I can at least rest assured knowing that I know exactly what and how much goes into my food. 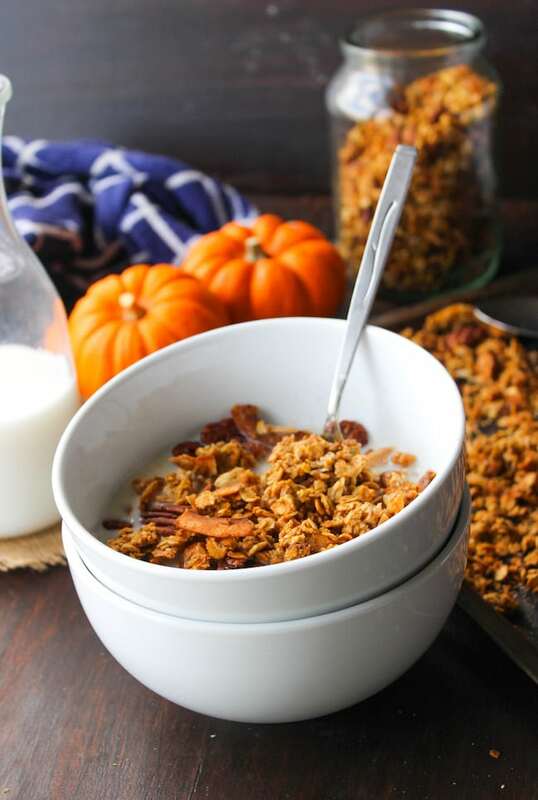 While I personally would consider this homemade pumpkin spice granola to be snack food rather than junk food – the rule still applies. Being that I am a food blogger and I love sharing all kinds of recipes with you, I often find myself overwhelmed by the sheer amount of sweets and snacks left hanging around. Right now even. I’ve got three left over cupcakes sitting on the counter from another job I’m working on, a tray of cinnamon rolls that I fiinnnnally got right, and two jars of this granola. I also have an ever evolving list of things I plan on making over the holiday season. Let me tell ya. It. Never. Ends. 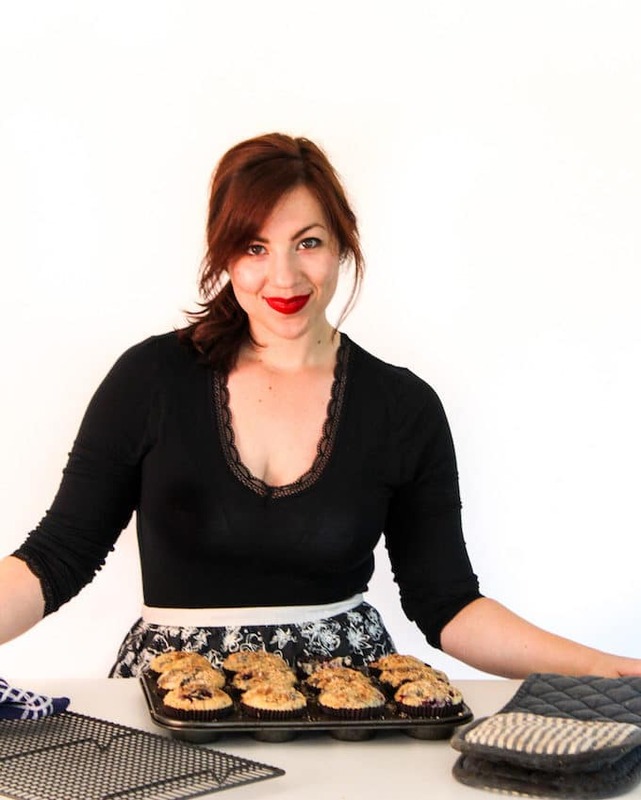 Baking from scratch when I was younger was actually what helped me stop overeating quite so much. Just seeing exactly how much shortening went into a recipe was enough to make me rethink that second piece of cake. That’s also when I began trying to ‘healthify’ recipes. I’d swap apple sauce for oil and use whole grains when I could. I know some people turn up their nose at the thought of using anything but butter in baked goods. To that I’d just like to say that my 14 year old self had no problem making things ‘healthier’ as long as their were still brownies involved. But now I feel as if this post is really getting away from me. 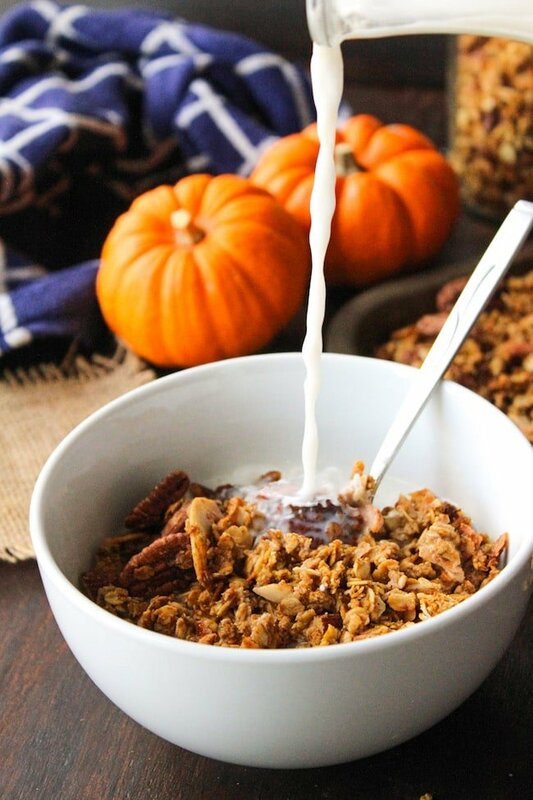 After all – we’ve got some homemade pumpkin spice granola to nosh on! As is the case with most granolas – this recipe is really easy! I included a quick one minute video that you can watch up above if you need any guidance, but that was more for fun then anything else. The more I practice making these food videos the better and more helpful they’ll get hopefully! I used maple syrup as my main sweetener here to keep this low FODMAP, but you can also sub agave sweetener or honey if you like. This particular recipe that I share has less than 10 ingredients, but you can definitely go to town on adding more to customize your granola. Chia seeds, crasins, pepitas, chocolate chips – you name it. Whatever why you have it I hope you enjoy! Don’t forget to #asaucykitchen on instagram if you try making your own homemade pumpkin spice granola. We love to see what you make with it! You can also post your pictures to ourfacebook page! Preheat oven to 350°F/ 180°C. Mix the oats, nuts, coconut flakes, spice and salt together in a large bowl. In a small bowl mix together the melted coconut oil, maple syrup, pumpkin puree and vanilla. Pour over the dry ingredients and mix it all together with a wooden spoon. Spread the mixture evenly onto a large baking sheets (you may need to use two baking sheets and do this in batches if it doesn’t fit). Bake for 25-30 minutes. Halfway through the baking take the baking sheets out to stir the granola and rotate their position in the oven. If you like granola with larger clusters don’t stir too much. Once the granola is golden brown , remove from oven and let cool completely. As the granola cools it will get crispier. Transfer to an airtight container and enjoy! This should keep for a couple weeks as long as you store it well. If you don't have a pumpkin spice blend on hand you can make your own by combining 3 tablespoons ground cinnamon, 2 teaspoons ground ginger, 2 teaspoons ground nutmeg, 1 ½ teaspoons ground allspice and 1 ½ teaspoons ground cloves. This post contains an affiliate link to Amazon. If you happen to buy something after clicking through the links or the Amazon banner a the bottom of my page, I receive a very small commission. I only post links for products I personally use and believe in. This in no way affects the price of your purchase. Thank you! Oh, it’s Great Pumpkin time!! Best time of the year! Thanks for the fabulous recipe. Can’t wait to try it with my grass-fed yogurt and kefir. I agree – pumpkin season is perfection! Hope you like it! 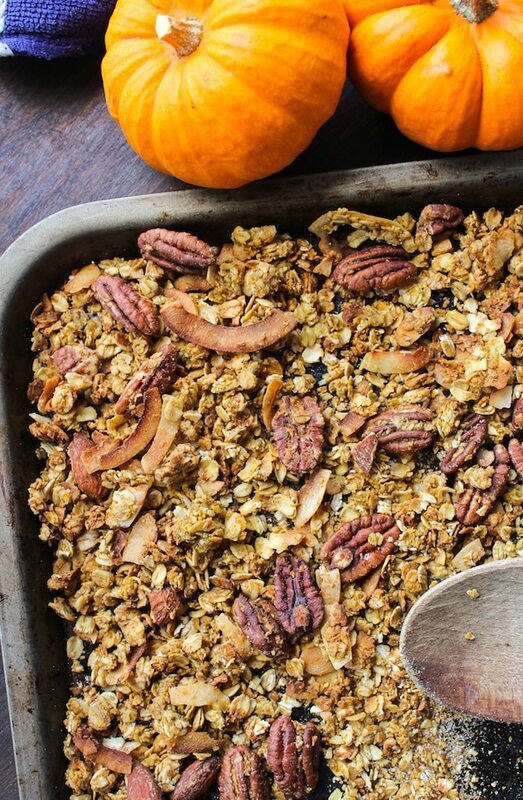 I was just thinking about trying to make my own pumpkin granola–now I can just use your recipe.